Omega Psi Phi Fraternity, Inc. was founded on the campus of Howard University, becoming the first black college fraternity founded at a historically Black college. The motto of the organization, “Friendship is Essential to the soul,” in conjunction with the four cardinal principles of Manhood, Scholarship, Perseverance, and Uplift, help to distinguish Omega as one of the most notable and original organizations among college fraternities. 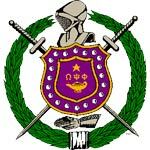 Since its inception in 1911, Omega Psi Phi has trained men who have been instrumental in uplifting less fortunate individuals through direct social action projects, as well as through educational and philanthropic activities. These activities include many nationally mandated programs including Assault on Illiteracy, Operation Big Vote, UNCF, NAACP and the National Urban League. In addition to these programs, the Bet Zeta chapter has traditionally been involved in the Athens Boys and Girls Club Volunteer program, Adopt- A-Highway and the Athens-Clarke County Mentoring program. Omega’s ranks include men who possess a substantial list of personal and professional accomplishments cutting across a wide spectrum of influence. Some members include: Bill Cosby, Langston Hughes, Count Basie, Vernon Jordan, Jesse Jackson, L. Douglas Wilder, Michael Jordan, Shaquille O’Neal, and Steve McNair. Nine men dedicated to service and brotherhood, known as “Genesis Nine,” chartered the Beta Zeta Chapter at the University of Georgia, October 14, 1972.